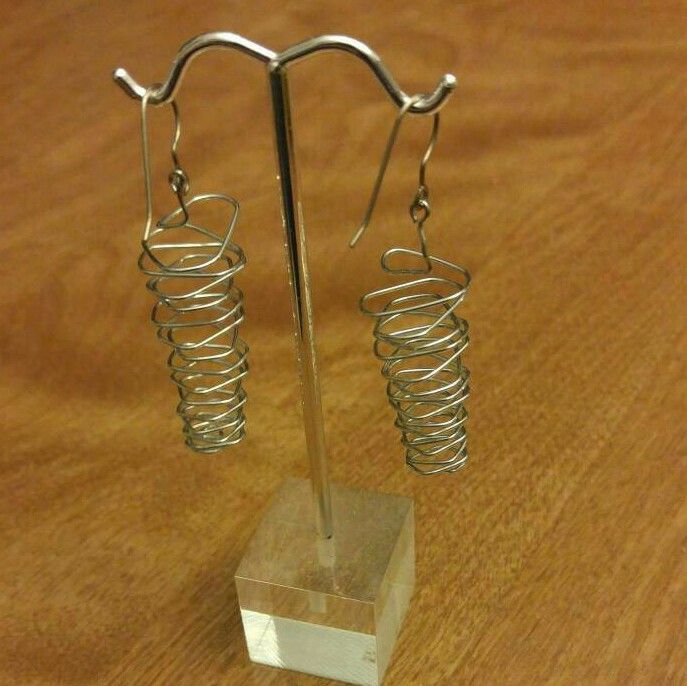 Chrome plated whirlwinds. 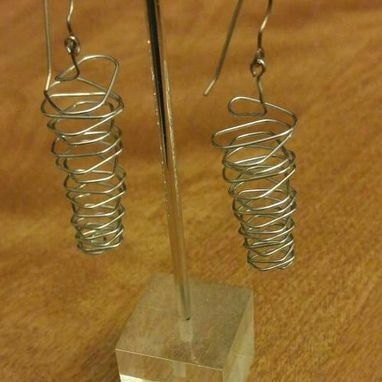 Chrome plated steel wire wrapped into tornado shaped earrings. 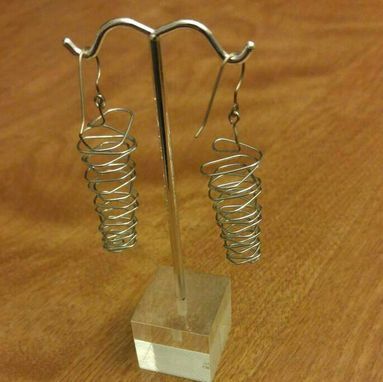 They come your choice of sterling silver ear wires or hypo allergenic titanium ear wires.